Digital Transformation – Opportunities and Challenges. Digital Transformation will impact on business, government and on the society across the world. Technology will trigger completely new ways of connecting businesses and people. Interaction between different entities through digital channels and even automatically will not only create new opportunities but also new challenges. Everybody should profit from this change but the advantages and, possibly, drawbacks need careful discussion in order to translate digital transformation into progress. Technology as a driver must team up with business implementation and social action to foster progress and enhance welfare. Digital transformation must be a sustainable development in all its facets. The discussion will give special attention to Switzerland and the ASEAN countries without neglecting general and worldwide issues. Technological developments and digitalisation pose new requirements and expectations towards a changed employability and higher education. Hence, there is a need to embrace Science, Technology, Engineering and Mathematics (STEM) education in real-world, problem-based, context-based higher education settings. Therefore, higher education institutions are expected to change their role and modus operandi by giving more importance to business models, learning designs, and regulations and the way they relate to the reality of digital transformation. The Education Track thus focuses on the transformation of the education practices and contents in order to prepare the students in their future lives in line with the 4th Industrial Revolution. Aspects of teaching and learning that explores into new approaches and processes of enhancing engagements with the community or beyond the educational institution are also deliberated. The recent development in digital technologies and devices has significantly transformed the business, management and trade landscape globally. All the business and management functions are strongly influenced by digital transformation. 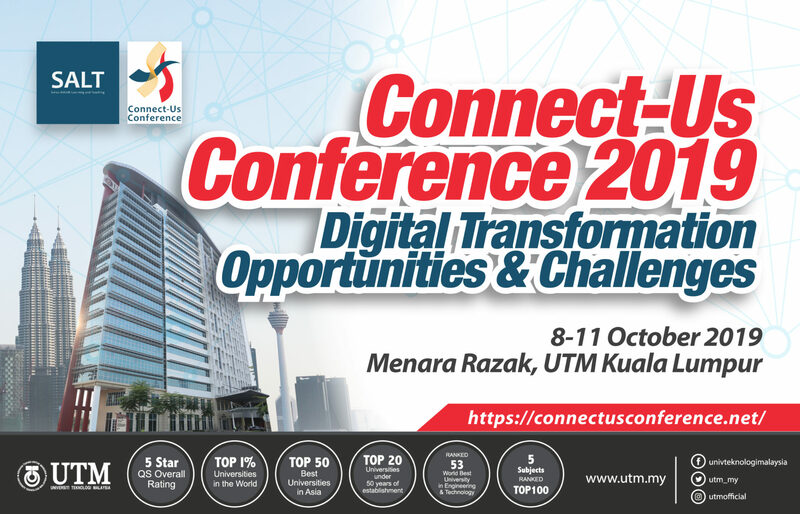 Therefore, this track aims at the discussions and research about the impact of digital transformation on business, management and trade. The contributions can be purely theoretical orientations or practical viewpoints that are for the global context or the specific contexts of Switzerland and/or ASEAN countries. Emergence of new technologies such as blockchain, data science and machine learning, artificial intelligence, human machine interfaces, robotics and Internet of Things (IoT) have a dramatic impact on business processes and society. There is a need to gain deeper understanding of the opportunities and challenges that these new technologies pose on industries, such as healthcare, finance, manufacturing, agriculture, mobility, supply chain management and logistics. Innovation and technological development also requires developments of specific strategies and instruments to support these. Empirical, theoretical and conceptual papers, which address innovation and technology challenges, are welcome. The ongoing process of digital transformation has led to intensive discussions among policy-makers, economists and industry leaders about its societal impact. As digital transformation affects society profoundly, concern is growing about how it is affecting issues such as jobs, wages, inequality, health, resource efficiency and security. The question is how can the digital transformation be geared in such a way to avoid negative impacts and contribute to sustainable development. Other topics which are related to digital transformation but may fall into several or none of the tracks above are also welcome. Calls for papers are not limited to the defined topics.